Give the next generation of industrial workers the advantage of learning modern methods of material processing. 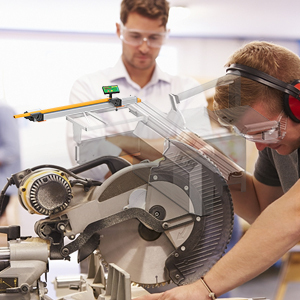 TigerStop is well established in the wood, metal and plastics industries and because we have tens of thousands of working machinery products in the market, we can help your students learn the latest processing methods, giving them the edge they need in today’s job markets. From ripping to crosscutting, drilling and boring material, TigerStop can offer solutions from simple stop gauge products to fully automated and integrated systems.